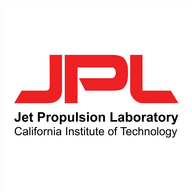 NASA will discuss the status of its Mars Exploration Rover (MER) Opportunity in a media briefing at 11 a.m. PST (2 p.m. EST) Wednesday, Feb. 13, from the agency’s Jet Propulsion Laboratory (JPL) in Pasadena, California. The briefing will follow NASA’s last planned attempts to communicate with Opportunity late Tuesday evening. The solar-powered rover last communicated with Earth June 10, 2018, as a planet-wide dust storm was blanketing the Red Planet. You’re encouraged to ask questions via chat or on social media using the hashtag #askNASA.